Born in Prussia, Michelson immigrated to the United States with his parents when he was two years old. He determined the speed of light with great accuracy and established it as a fundamental constant. His experiments with the American physicist Edward Williams Morely provided the foundation on which Albert Einstein would formulate his Special Theory of Relativity in 1905. 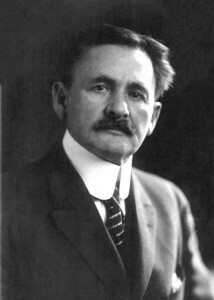 Michelson was awarded the 1907 Nobel Prize for Physics.